Local communities play a critical role in conserving the environment, in Mara River basin World Wide Fund for Nature (WWF-Kenya) is championing for a community led river health assessment to promote good environmental stewardship of the river shared between Kenya and Tanzania. Through their respective users associations’ in both Kenya and Tanzania, communities living along the Mara River were recently involved in the assessment of the water quality and quantity. It is expected that through citizen science the local communities and key stakeholders in the basin would understand the condition of the river and encourage pollution prevention approaches. “This activity is important because gives the empirical findings on how unsustainable human activities are threatening the rivers’ flow regime.” noted Joseph Chebusit, chairman Amala Water Resource Users Association (WRUA). He further added that, being involved in the river assessment exercise also accorded the local communities with an opportunity to come up with practical solutions to mitigate river pollution. 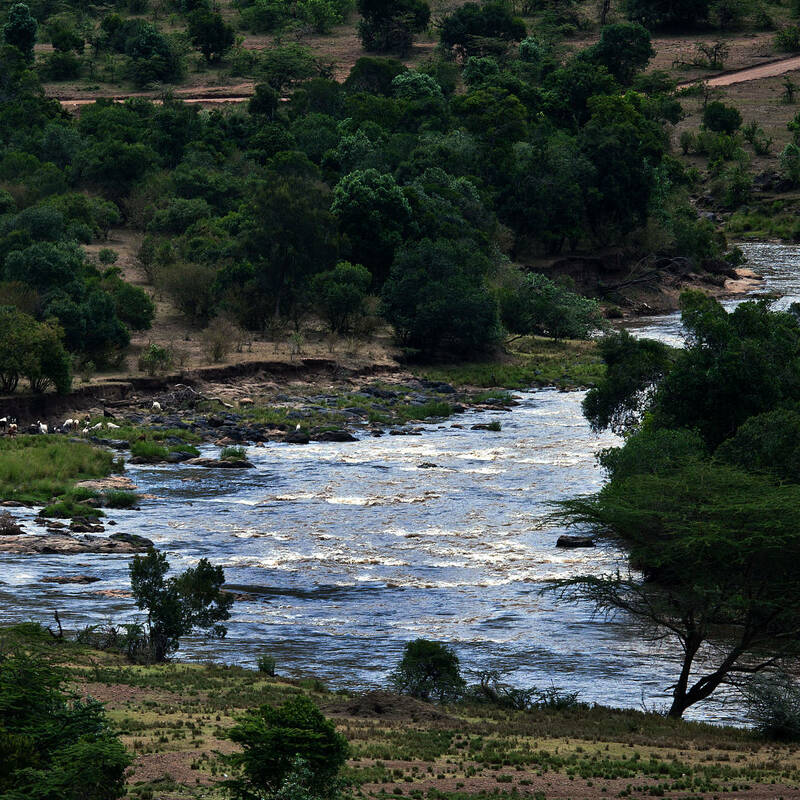 The Mara River continues to face numerous threats occasioned by unsustainable human activities such as excessive water abstraction, pollution by raw effluent from hotels and lodges and industries, high sediment load from soil erosion and solid waste dumping. In a bid to save the Mara River , WWF-Kenya is working with local communities in the upper catchment area to embrace conservation agriculture to help reduce on the sediment loads and nutrients levels in the rivers. Downstream in Tanzania we are working with small-scale artisanal gold miners to construct mercury retention ponds away from the river to minimize mercury pollution during gold processing. We are further working with hotels and lodges in the Mara basin to embrace effective waste-water management through the adoption of constructed wetland, a sustainable wastewater treatment system which mimics a natural wetland by filtering hazardous waste water that would pollute water resources.